Accommmodation in Knysna: Phantom River View Cabins. 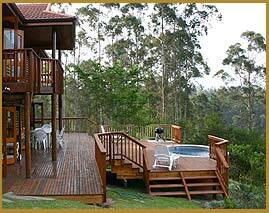 You are here: Home / Western Cape / Knysna / Accommmodation in Knysna: Phantom River View Cabins. If you are looking for somewhere secluded, but luxurious, you will love A Phantom River View. We offer something very different from the resorts in the area, in that our estate offers guests their own, private facilities. The level of privacy is ideal for honeymoon couples, or a romantic getaway. We have a selection of luxury 4 star cabins available, some with pools, some with jacuzzi's, and all completely unique. 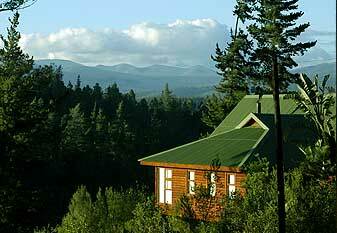 The Cabins are situated in a nature reserve area in the Phantom Forest 9 kms outside Knysna. They are perfectly located in terms of the access to Knysna town and the Garden Route in general. 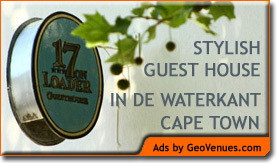 For guest house accommodation in the heart of Cape Town, be sure to stay at 17 on Loader Guest House – in the heart of historic "de Waterkant Village"